Phillips Academy, in Andover, Massachusetts, commissioned Emerald Environmental Technologies for a 2017 installation to heat and cool their new 105,000-square foot Snyder Center Field House to be constructed in a free standing location at the end of the rink furthest from the mechanical room. 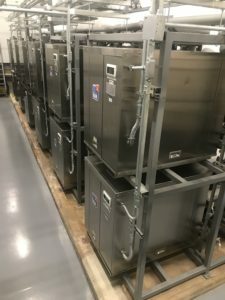 The Academy had a 15-year-old ammonia refrigeration plant which recently had a chiller vessel fail, contaminating their brine with ammonia. 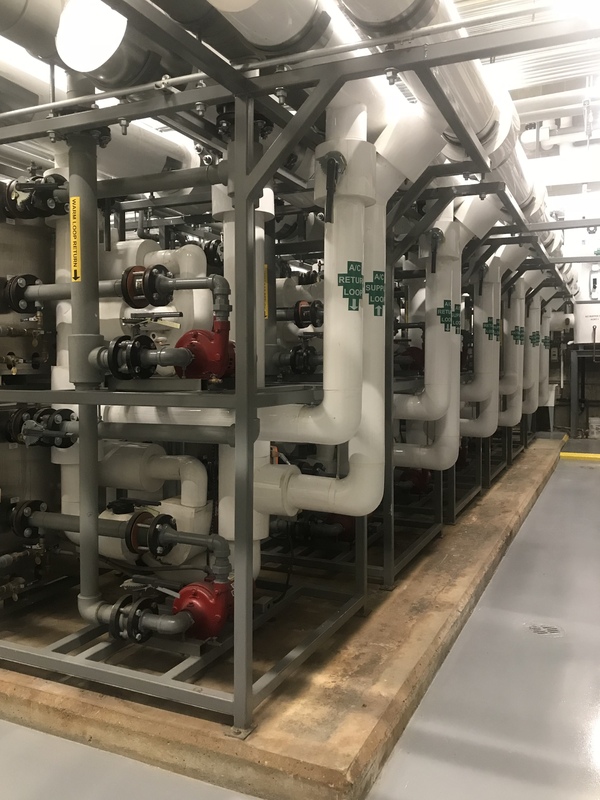 The maintenance bills for the ammonia system were high before the failure, and the recent repair costs were significant. As part of their new building plans, Phillips Academy opted to replace the existing ammonia plant serving their two sheets of ice. They had the lofty goal of installing a system that would be extremely efficient – to such a degree that they wanted to add the 105,000-square foot field house within the energy consumption limits of their existing rink. 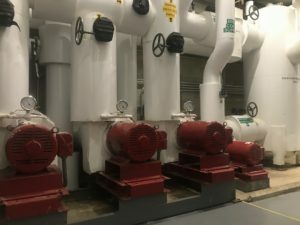 The school had recently installed a geothermal project in their campus wellness center, which proved to be highly successful in energy efficiency. 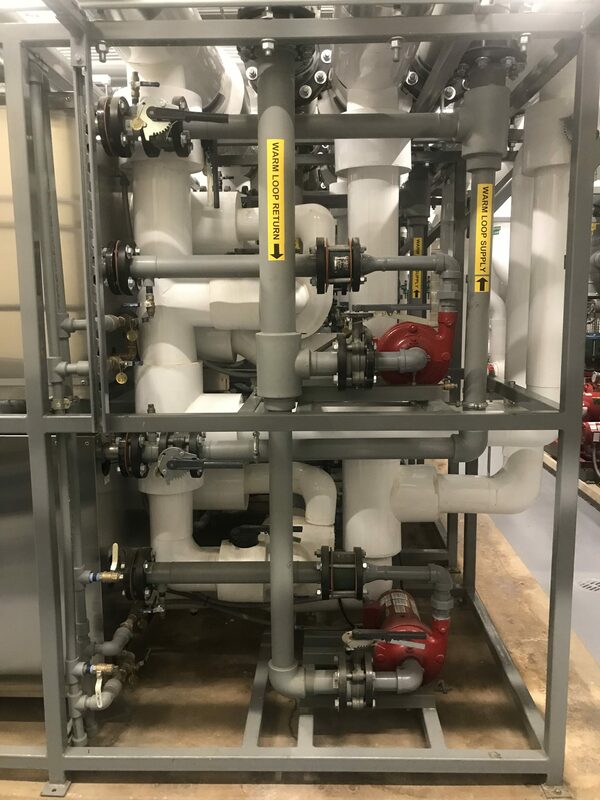 RFS Engineering appointed Emerald and Preferred Mechanical Services to work with the design team in providing solutions for this complex project. 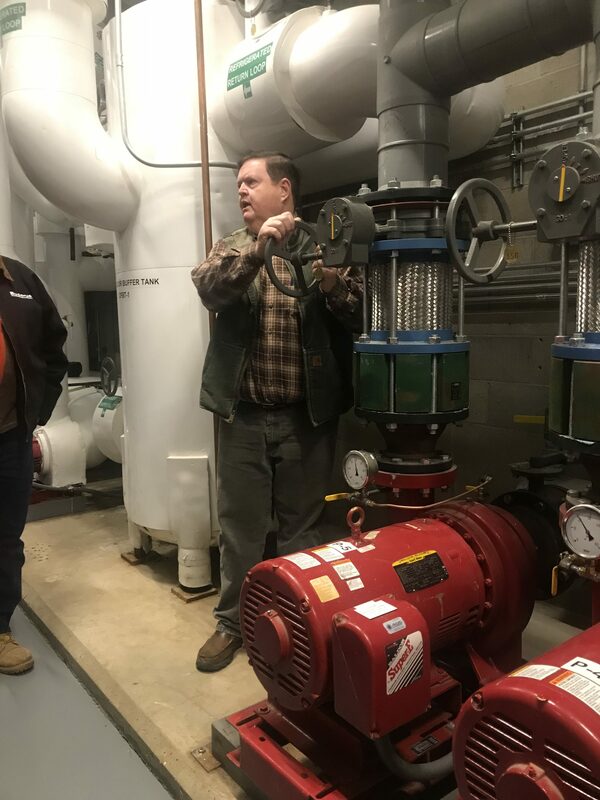 Due to budget constraints, a geothermal system was not installed within this phase, so long-term allowances were made. 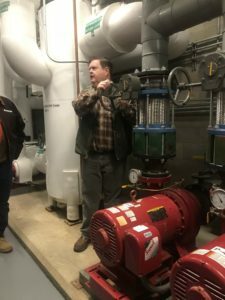 However, the use of a reclaimed heat design to decrease and almost eliminate heating bills within the new Snyder Center was extremely appealing to the client. 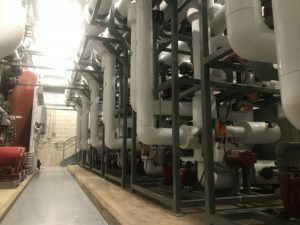 In addition, the plan allowed for provision of air conditioning-chilled glycol in the Snyder Center and the ability to use more waste heat. Finally, a BRR Reclaimed Heat Dehumidifier was planned for installation, serving both rinks and allowing the natural gas-burning desiccant dehumidifiers to remain dormant in standby mode. 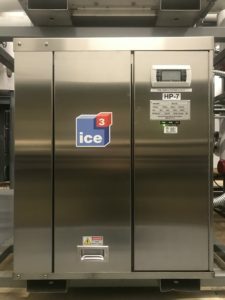 The proposed design is to install twelve ice3 Cubes, totaling 252 TR, which will serve the BRR and the AC load in the Snyder Center. A direct Digital Control System will provide control of the refrigeration and interface of the existing building automation systems. Also planned for installation are cold floor cube decouplers, AC cube decouplers and 1,000 gallons of thermal heat storage. 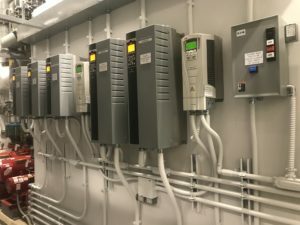 An indoor fluid cooler will be employed as well, in order to maintain the aesthetics of the facility. 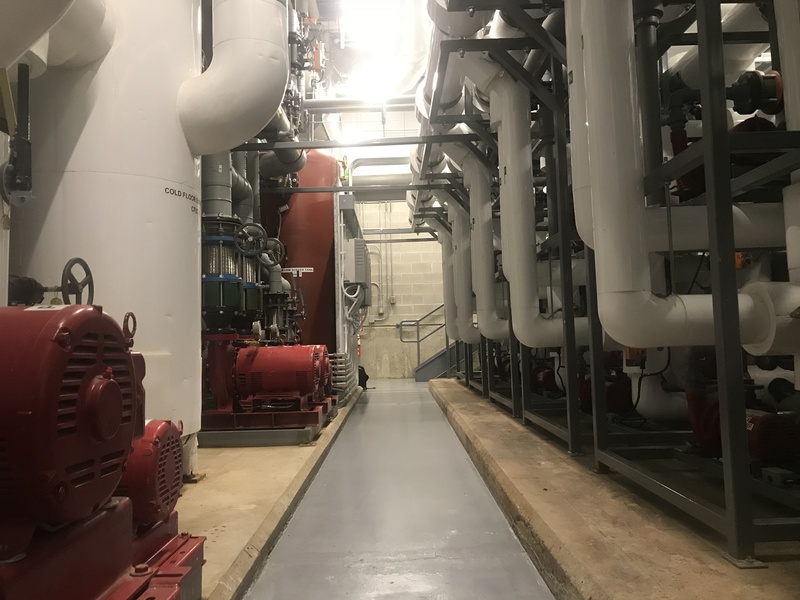 The aggressive transition strategy is to ice out one sheet at a time so that by utilizing a rental chiller the existing plant will keep one sheet of ice in during the entire plant replacement. The ice3 Cubes will be fabricated onto two-tier stands, pre-piped and prepared prior to the installation. 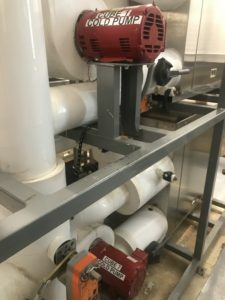 Domestic hot water and Zamboni preheat water systems were installed remotely above the Zambonis. 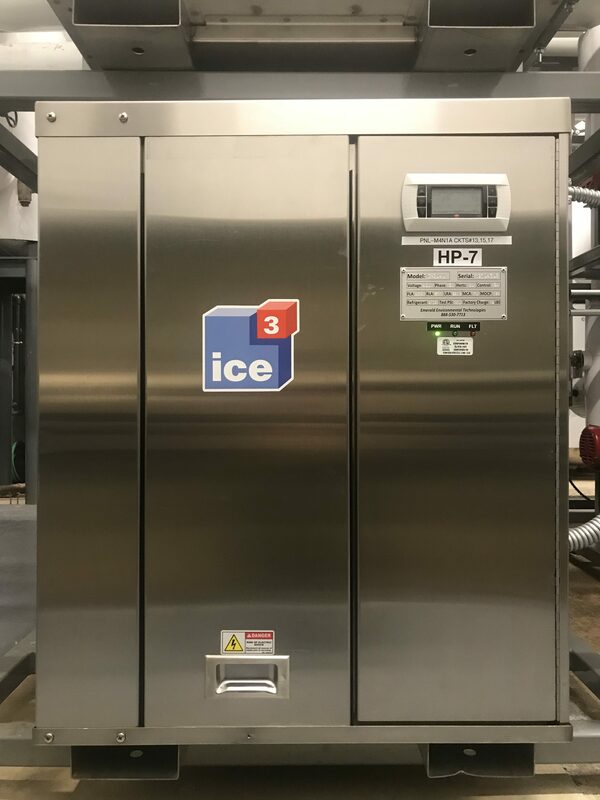 High-efficiency gas boilers were employed to reinforce ice3 Cubes if heat demand exceeds operating Cube demand. 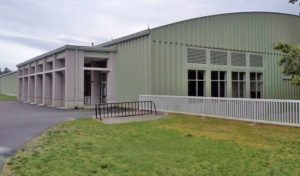 All mechanical equipment was located within the arena and piped underground to the Snyder Center Field House. 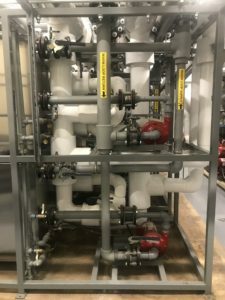 Piping and design allow for the future geothermal systems to be added. 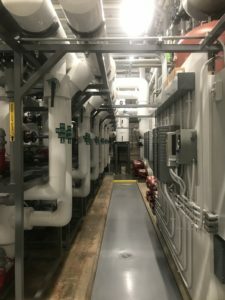 The project came online, on time, in August 2017 and is a commissioned LEED project. The installation heats and cools an adjoining building from the ice3 Cubes that are replacing a high maintenance ammonia plant, allowing Phillips Academy to increase capacity within the same footprint of space. Maintenance costs are lowered dramatically, and the fact that the system is modular will allow the twelve units to more closely match the load at time of use. 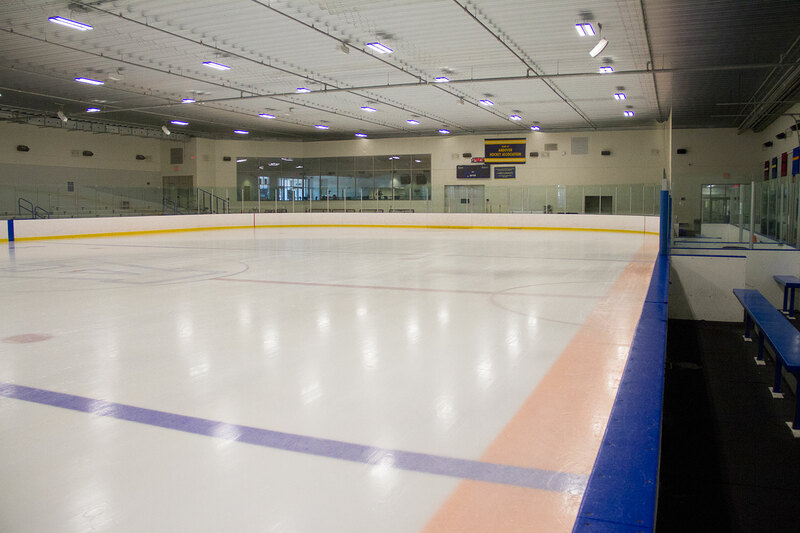 The expert team at Emerald Environmental Technologies can help define and customize which ice3 Cube combinations are ideal for your community/municipal/outdoor, upgrade project, or collegiate rink. Emerald Environmental Technologies is based in New England and services the entire east coast up through Canada. 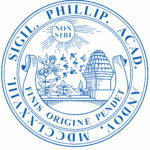 Please contact us today to request a free consultation or Email or call 603-238-9249 with questions. 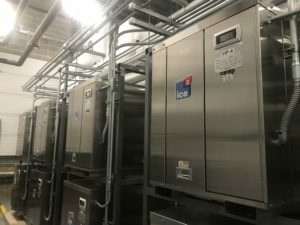 Does Your Refrigeration System Offer Flexibility? 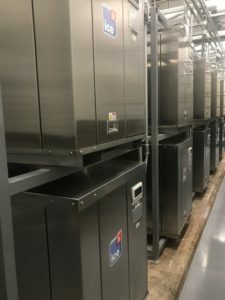 How Long Will Our Refrigeration System Last? 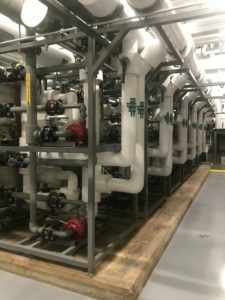 Is an Ammonia Refrigeration System the Right Choice? Copyright © 2018 Emerald Environmental Technologies · All rights reserved.